What does March mean to you? What is the first thing that comes to mind? Of course, we know it is the name of the third month of the year. It is also a verb that describes walking with determination – or in a military manner. March certainly has been a topical word. Since January 2017, we’ve witnessed two marches on Washington during which hundreds of rallies and protests occurred simultaneously all over the world. In addition to the marches, there are those vying for our attention in other ways. The arts community is using their celebrity and skill to open our eyes to injustices past, present and “in future worlds.” Filmmakers are producing scripts with diversified and controversial storylines. Most of the “Best Picture” Oscar contenders (March 4th on ABC) are bringing focus to the scourges of war, poverty, prejudice and corruption. As the winners march up the stairs to accept their statuettes, you can expect to hear their opinions on heated topics in the news. Since you are reading this article, I assume you are not living in a digital-free environment. Online bulletins and social media outlets report news as it happens. But, there was once a time when the travesty of war or the suffering of women or immigrants took a much longer time to reach the general public. It was the work of painters, sculptors and photographers who brought their messages to us. One such sculptor was Gertrude Vanderbilt Whitney (1875-1942), whose notoriety as a philanthropist and founder of the Whitney Museum of Art overshadowed her talent as a gifted artist. She was hampered by her gender, and her work was not appreciated for its complexity and strength. If Mrs. Whitney were alive today, perhaps she would have marched beside the women in DC, or en route to Mar a Lago last January 20th. 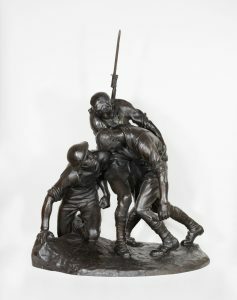 You can read more about her work and the Norton Museum’s exhibit Gertrude Vanderbilt Whitney: Sculpture below. Our military has marched into battle to preserve our freedom. The suffragettes marched for women to have the right to vote over ninety years ago. Dr. Martin Luther King marched for an end to racism. Attorney Gloria Allred continues to march victims of abuse and harassment up the courthouse steps. Progress has been made, but there’s much more work ahead of us. It’s time to roll up our sleeves and stand up for what we believe in… and if you are in good health, march! Perhaps, one day, the first thing we’ll think of when we hear the word March is that spring is near, that it’s time for kites to fly and for flowers to blossom. Until then, we must continue to march, and listen to the women and men who lead the way… to a more just and equal society. 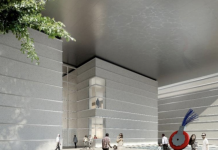 The Norton Museum of Art will present the first exhibition in more than 75 years of the sculpture of Gertrude Vanderbilt Whitney (1875-1942), artist, philanthropist, and founder of the Whitney Museum in New York. The exhibition showcases the remarkable variety of Whitney’s work – from her earliest classical sculptures to her more symbolic public monuments, from her bleakly Realist depictions of the tragedy of World War I to her late Art Deco work. Curator Ellen Roberts explains that, “Whitney’s sculpting fed her desire to help other American artists, but her art is important not only for the impetus it gave her philanthropy, but also for the works themselves.” Whitney created striking and popular public art in her lifetime, and her incisive depictions of her family, friends, and scenes from World War I are still captivating today. The installation moves chronologically through Whitney’s career, and will include photographs of Whitney’s monuments in the United States, France, and Spain and her nurse’s uniform from World War I.
Gertrude Vanderbilt was one of the wealthiest women of her age. Yet, after her marriage to Harry Payne Whitney in 1896, she realized that the life of a society hostess and mother would not satisfy her. “She turned to sculpture for professional and emotional fulfillment and a way to define herself apart from her money,” said Roberts. 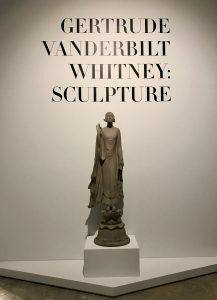 Gertrude Vanderbilt Whitney: Sculpture will be accompanied by a 120-page, fully illustrated catalogue with text by Roberts and a chronology by Norton Museum Associate Curator of Education for Public Programs Erica Ando. 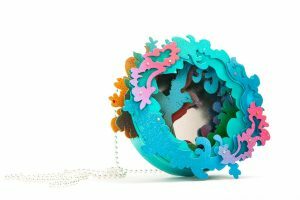 The Norton Museum of Art presents the seventh edition of BIJOUX!, an international art jewelry exhibition and fundraiser that offers the chance to purchase unique art jewelry from its creators. About 40 artists from around the world, including Israel, Italy, Norway, South Korea and The Netherlands will be represented. Norway and South Korea are represented. BIJOUX! runs Thursday, March 1 through Sunday, March 4, 2018. 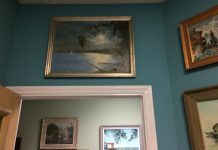 Tours will be led by Independent Curator Davira S. Taragin at 3 p.m. each day. American Artist Don Friedlich, who works with glass, will give a public presentation at 6 p.m. on March 1 during Art After Dark. 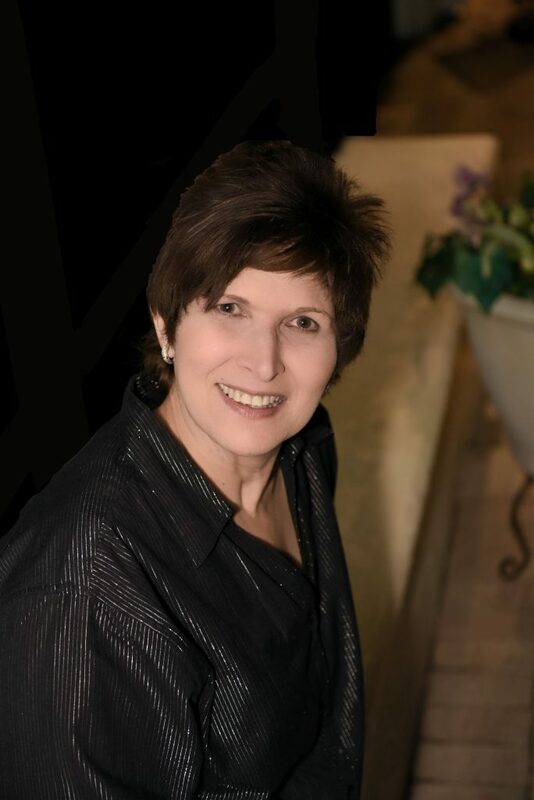 Gloria Allred, 76, has been fighting for the rights of women and those in underserved communities for more than 40 years. She rises early and goes to bed late stating, “I’m sad that I do have to sleep, because I could be doing so much more if I didn’t have to.” Allred’s commitment to pursuing justice at all costs, has made her a divisive figure in the public landscape. That perception is effectively deflated in the new Netflix documentary, Seeing Allred, which chronicles Allred’s evolution from inner-city school teacher in Philadelphia to fearless civil-rights attorney. 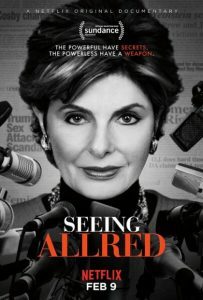 This documentary raises awareness of Allred’s accomplishments, which includes work beyond her high-profile cases. It reveals a great deal about the person behind the public lens. Given the rush of news during the last several months, the issues raised couldn’t be timelier. This is one of Brad Meltzer’s most exciting books. 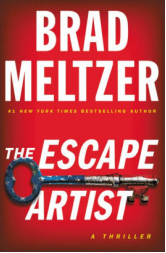 On March 6, 2018, The Escape Artist will be released, his new thriller in almost three years. It marks 20 years since his first book came out – but more importantly, the subject matter couldn’t be more relevant. For the past three years, the government has given him access to a place he never thought they’d let him sneak into. Not sure if you know about Dover Air Force Base, but it’s the mortuary for the US government’s most top-secret and high-profile cases. On 9/11, the victims of the Pentagon attack were brought there. So were the victims of the attack on the USS Cole, the astronauts from the space shuttle Columbia, and the remains of well over fifty-thousand soldiers and CIA operatives who fought in Vietnam, Afghanistan, Iraq, and every secret location in between. Indeed, in Delaware of all places, at Dover Air Force Base, is America’s most important funeral home. And yes, the same place that’s been in the news since President Trump started attacking Gold Star families. In this world where so much of the government is a mess, Dover is the one place that does it absolutely right. It is the one “no-fail mission” in the military. When a soldier’s body comes home, you don’t mess it up. And so, he’s seen the stories of the morticians who rebuild hands (rather than giving a fake prosthesis), so that a mother can hold her son’s hand one final time…or where they spend fourteen straight hours wiring together a fallen soldier’s shattered jaw, then smoothing it over with clay and makeup, just so they could give his parents far more ease than they ever should’ve expected at their son’s funeral. And in today’s world, we need real heroes. The people here are the real deal. And for the geeks in us, the book also focuses on one of the most obscure jobs in the Army: The so-called Artist-In Residence. Since World War I, the Army has assigned one person—an actual artist—who they send out in the field to, well…paint what couldn’t otherwise be seen. It’s one of the greatest traditions in our military—they call them war artists. They go, they see, they paint, cataloguing every victory and mistake, from the death count on D-day, to the injured at Mogadishu, to the sandbag pilers who were at Hurricane Katrina. In fact, when 9/11 hit, that was the only artist let inside the security perimeter. Sure, we have plenty of photographers and videographers. But what an artist does is different. Photographers take a picture. Artists…when they widen eyes and make rucksacks bigger…they tell a story. Direct from his Broadway debut performance in the hit musical Waitress, Jason Mraz has quietly amassed a diverse fan-base throughout all parts of the globe with his positive message and soulful, folkpop sound to rapt audiences around the world through his vibrant recordings, humorous live performances, and philanthropic efforts. Along the way, he has earned numerous platinum certifications for his various releases, made pop history with his record-breaking classic single, I’m Yours and I Won’t Give Up, racked up two Grammy Awards, won the prestigious Songwriter Hall of Fame Hal David Award, and has sold out amphitheaters and arenas across the globe, including sell-outs at The Hollywood Bowl, Madison Square Garden and London’s O2 Arena. Tickets start at $45. For More information go to Kravis.org. 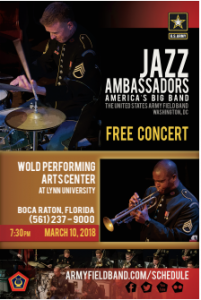 Concert on Saturday, March 10, at 7:30 p.m. Formed in 1969, the 19-member ensemble has received great acclaim at home and abroad performing America’s greatest original art form, jazz. How to Get Tickets: The free tickets are available through the Lynn box office at 562-237 9000 or http://events.lynn.edu. 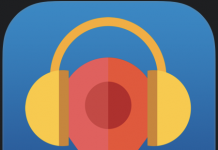 Live at Lynn Guild members are encouraged to call 561-237-7750.